4 Ancient Neolithic Carnelian, Quartz Beads, Stone Age, RARE !! TOP !! 4 Neolithic Ancient. 4 original Neolithic Ancient. Carnelian. Wearable; these. Beads need re-stringing to be a part of a modern beautiful necklace., Sahara, Stone Age, 5000 - 3000 BC., dated to 50th - 30st Century BC. 1 Neolithic Ancient. 1 O riginal Neolithic Ancient. Size of this Flint Axe : 115 mm x 45 mm x 28 mm. Axe, dated to 50th - 30st Century BC., Sahara, Stone Age, 5000 - 3000 BC. VERY RARE! VERY GOOD QUALITY ! 1 Neolithic Ancient. 1 O riginal Neolithic Ancient. Size of this Flint Axe : 125 mm x 40 mm x 18 mm. Axe, dated to 50th - 30st Century BC., Sahara, Stone Age, 5000 - 3000 BC. VERY RARE! VERY GOOD QUALITY ! 1 Neolithic Ancient. 1 original Neolithic Ancient. Wearable; this. Bead needs re-stringing to be a part of a modern beautiful necklace. Size of this Bead : 35 mm x 28 mm., Sahara, Stone Age, 5000 - 3000 BC. You will receive the exact beads shown in the photos. The first strand has a lot of different beads and a claw. The white beads are 1-1/2" long and about 1/4" thick. The smallest beads on it are the red ones, at 3/8" long x 1/4" thick. 3 Ancient Neolithic Flint Arrowheads, Stone Age, VERY RARE !! TOP !! 3 Neolithic Ancient. Length of these Flint Arrowheads : 45 mm - 48 mm. Arrowheads, dated to 50th - 30st Century BC. 3 O riginal Neolithic Ancient., Sahara, Stone Age, 5000 - 3000 BC. VERY RARE! MATERIAL Lapis stone, Glass. Origin Ancient. 4 Ancient Neolithic Red Jasper Beads, Stone Age, RARE !! TOP !! 4 Neolithic Ancient. 4 original Neolithic Ancient. Red Jasper. Wearable; these. Beads need re-stringing to be a part of a modern beautiful necklace., Sahara, Stone Age, 5000 - 3000 BC., dated to 50th - 30st Century BC. 4 Ancient Neolithic Carnelian Beads, Stone Age, RARE !! TOP !! 4 Neolithic Ancient. 4 original Neolithic Ancient. Wearable; these. Beads need re-stringing to be a part of a modern beautiful necklace., Sahara, Stone Age, 5000 - 3000 BC., dated to 50th - 30st Century BC. 8 Ancient Neolithic Carnelian, Stone Beads, Stone Age, RARE !! TOP !! 8 Neolithic Ancient. 8 original Neolithic Ancient. Carnelian. Wearable; these. Beads need re-stringing to be a part of a modern beautiful necklace., Sahara, Stone Age, 5000 - 3000 BC., dated to 50th - 30st Century BC. Very nice group of 5 large millefiori beads. You will receive the beads pictured. 3fabulous ancient roman carnelianbeads. Sourced in Swiss (Canton of Jura). Great condition corresponding to the age. For your consideration is this antique translucent etched agate carnelian bead. These beads are considered to be lucky talisman beads. I acquired this one in Thailand. 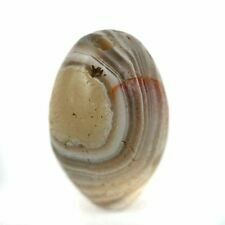 Ancient rare pyu etched carnelian agate five stripe bead, 1800 years old. Great condition. As seen on pictures. You will receive the strand pictured. Genuine ancient Czech clear glass bead which dates from the 1900s. It was found in Mauritania. Very nice group of 3 large millefiori beads. You will receive the beads pictured. Nice mix old Czech Bohemian Russian blues and Venetian made padre beads out of the West African trade. Size : Russian blues 7-10mm, padre 8-9mm, long beads in back 16x4mm and 21x4mm. You will receive the beads pictured. You are buying 7 AncientRare Roman Glass Beads, condition as in pictures, 1800 Years old, width Sizes 10mm to 11mm, #S510. 2 Ancient Neolithic Flint Arrowheads, Stone Age, VERY RARE !! TOP !! 2 Neolithic Ancient. Length of these Flint Arrowheads : 45 mm - 50 mm. Arrowheads, dated to 50th - 30st Century BC. 2 O riginal Neolithic Ancient., Sahara, Stone Age, 5000 - 3000 BC. VERY RARE! 3 Neolithic Ancient. Length of these Flint Arrowheads : 33 mm - 40 mm. Arrowheads, dated to 50th - 30st Century BC. 3 O riginal Neolithic Ancient., Sahara, Stone Age, 5000 - 3000 BC. VERY RARE! A strand of old agate carnelian beads found in West Africa. Scroll down the page for more pictures. Arrowhead. Size of this Arrowhead: 80 mm x 22 mm. Viking Ancient. Iron, 800 - 1000 AD. Iron, dated to 8th - 10th Century AD. VERY RARE ! 1 Ancient Celtic Clay Bead Celts VERY RARE! TOP !! Celtic Ancient. Wearable; this bead needs re-stringing to be a part of a modern beautiful necklace. C l a y Bead, dated to 3rd - 1st Century BC. 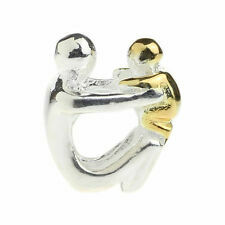 Size of this bead: 30 mm x 24 mm. Intact bead. VERY RARE ! 2 Neolithic Ancient. Length of these Flint Arrowheads : 50 mm - 54 mm. Arrowheads, dated to 50th - 30st Century BC. 2 O riginal Neolithic Ancient., Sahara, Stone Age, 5000 - 3000 BC. VERY RARE! 3 Neolithic Ancient. Length of these Flint Arrowheads : 41 mm - 48 mm. Arrowheads, dated to 50th - 30st Century BC. 3 O riginal Neolithic Ancient., Sahara, Stone Age, 5000 - 3000 BC. VERY RARE! Arrowhead. Size of this Arrowhead: 92 mm x 23 mm. Viking Ancient. Iron, 800 - 1000 AD. Iron, dated to 8th - 10th Century AD. VERY RARE ! Very nice group 17 mixed oval millefiori beads. Very nice group 3 nice pattern millefiori beads. 20 Ancient Neolithic Quartz, Rock Crystal Beads, Stone Age, RARE !! TOP !! 20 Neolithic Ancient. 20 original Neolithic Ancient. Wearable; these. Rock Crystal. Beads need re-stringing to be a part of a modern beautiful necklace. Rock Crystal., Sahara, Stone Age, 5000 - 3000 BC. 2 Ancient Neolithic Carnelian Disc Beads, Stone Age, RARE !! TOP !! 2 Neolithic Ancient. 2 original Neolithic Ancient. Wearable; these. Beads need re-stringing to be a part of a modern beautiful necklace., Sahara, Stone Age, 5000 - 3000 BC., dated to 50th - 30st Century BC. HUSSAM ZURQIEH. ANCIENT EGYPT - CHOICE - HUGE. HAEMATITE FROG SHAPED SCARAB. NEW KINGDOM. CARVINGS RESEMBLING LAND AND SEA, WITH LINES OF WATER AND BOTH SEA AND LAND CREATURES. HIPPO, FISH, FROG. Very nice group 21 mixed millefiori beads. HUSSAM ZURQIEH. ANCIENT EGYPT - CHOICE - HAEMATITE SEAL. NEW KINGDOM. 25 X 14 X 11 MM. AN EXQUISITE PIECE OF ART IN PERFECT CONDITION. Scroll down the page for more pictures. A RARE ANCIENT " SIX STRIPE SUN RAY " PATTERN PATINIZED PUMTEK PYU LINE DECORATED ROUND SHAPED BEAD. THE MATRIX MATERIAL IS VERY SMOOTH AND HAS BEEN HIGHLY AGATIZED. 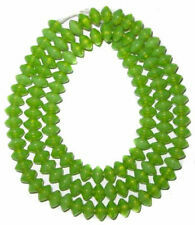 THESE BEADS HAVE BEEN ONE OF THE MOST POPULAR COLLECTOR'S BEAD IN THE LAST 10 YEARS. You will receive the exact beads shown in the photos. Fine collection of early ( 1450 s) Venetian 7 Layer chevron beads including two green 7 layer chevron beads and one blue green 7 layer chevron bead. Green seven layer chevron beads 13.5 mm x 14 mm and 10 x 7.5 mm,, blue green seven layer bead 13 x 13.5 mm.